Larger bamboo plants are ideal for customer wanting an immediate screen or impact in their landscape. There are 2 options for delivery. For smaller orders, they can be delivered curbside by a common carrier with a liftgate. For larger orders, they are delivered personally by our company. Many growers go the easy way and use large mechanical diggers which damage the bamboo. We treat your bamboo like we were digging it for ourselves. If you are planting indoors, our bamboo is perfect. Our interior acclimation techniques get your plants ready for indoor use. 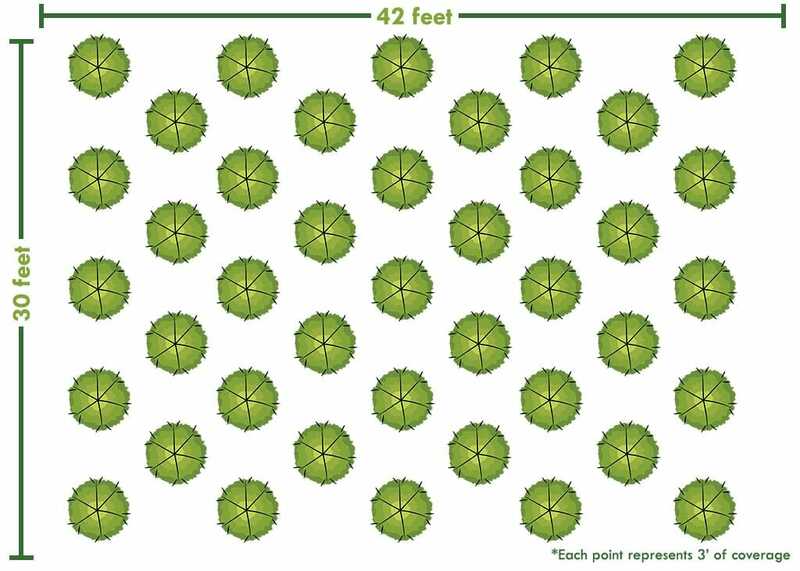 We transport these large field divisions by freight only as they are too large for UPS/FedEx shipping. Always Fast & Free Shipping, No Minimum! Our standard sizes are represented in this diagram. These larger sizes jump start your bamboo grove shaving years of time and providing immediate coverage. Design services are available free of charge. Don’t know what you need or how many? 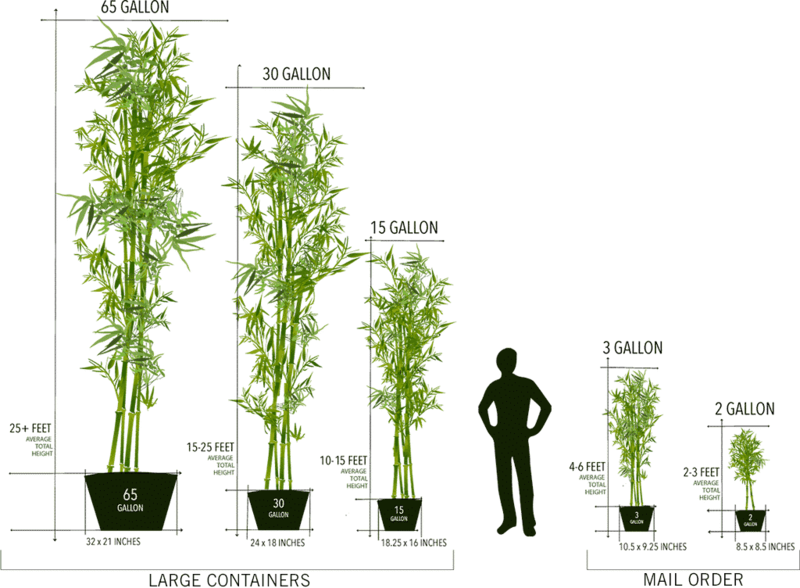 We have been growing bamboo commercially for over 20 years and can find exactly what you need.